The Music Licensing Blues: Should Your Brewery Sing a Different Tune? Does your craft brewery play the radio for the enjoyment of your customers? Do you ever have an opportunity to invite local bands to perform live in your tasting room? A recent lawsuit may help brewery owners realize that these seemingly innocuous acts could be cause for concern. In May, an Ohio brewery was among several organizations across the country named in a lawsuit brought by the American Society of Composers, Authors and Publishers. This group collects royalties whenever its members’ music is performed in public (whether live or recorded). According to an AP story about the lawsuit, the brewery is confident that it has paid all necessary music licensing fees. But the fact is, a lawsuit like this could have a negative impact on your brewery’s budget. 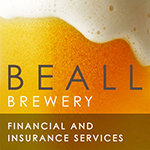 We recommend checking with your insurance agent to be sure you have the coverage necessary to protect your craft brewery in the event that it incurs legal expenses in a lawsuit like this. We also recommend ensuring that your brewery is following all laws and regulations pertaining to music performance. What about a streaming or satellite music system? In this case, you will need to check the terms and conditions of the service provider. And they’re likely to prohibit playing music in a commercial setting (without a commercial account). Don’t imagine that you can evade licensing fees by playing only music that you have purchased for your personal use. Once you play that music in a place of business, it is a “public performance” and licensing fee regulations apply. 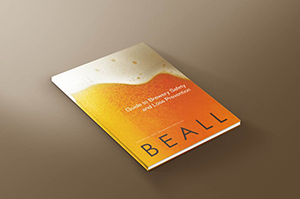 ← How Can Your Brewery Celebrate National Safety Month?